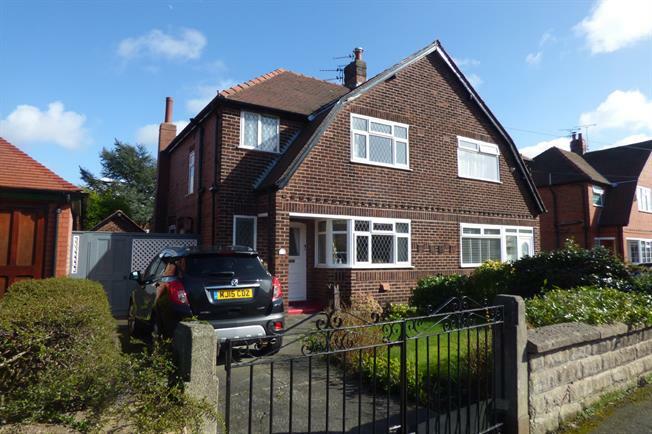 3 Bedroom Semi Detached House For Sale in Warrington for Offers Over £249,950. Boasting bags of character and beautifully tended lawned gardens, this charming semi detached home enjoys a real family feel and is located on one of Penkeths most sought after roads and really must be viewed. Extended to the rear with two large reception rooms of which the main lounge measures over 21 foot in length and providing access to the family/dining room which overlooks the private gardens. The extended kitchen is now over 20 foot in length and affords the space for a open plan kitchen/breakfast room idea for families and providing access to the side elevation. The current owner has enhanced the property and has created a valuable ground floor cloakroom/WC located off the impressive entrance hallway which also provides access to the first floor by way of the curving staircase boasting three bedrooms with a serving family bathroom. This property offers the signature gardens that Coronation drive boasts which have been carefully landscaped to appeal to most buyers tastes and would ideally suit a growing family with children. There is a long driveway to the front and side and leads to the larger-than-normal detached garage which benefits from an inspection pit and allows the space to be used as a workshop too.